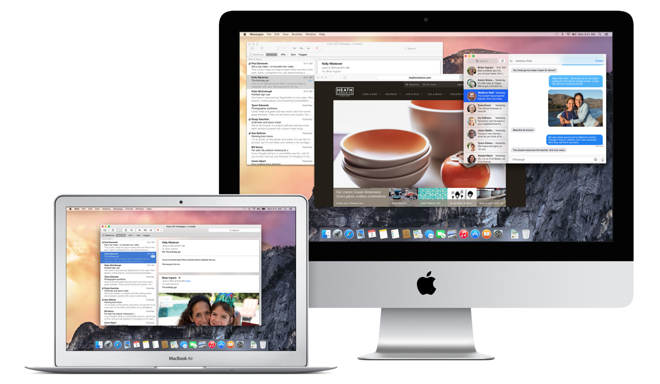 In a sign that the next-generation Mac operating system is near release to the public, Apple on Tuesday released a golden master candidate of OS X Yosemite to developers for testing. The OS X Yosemite GM Candidate is still labeled as a pre-release version of OS X Yosemite, but its identity as a golden master signifies that Apple believes the software could be the final version of OS X 10.10. It is identified as build 14A378a. A new, fourth public beta was also made available on Tuesday, identified differently as build 14A379b. 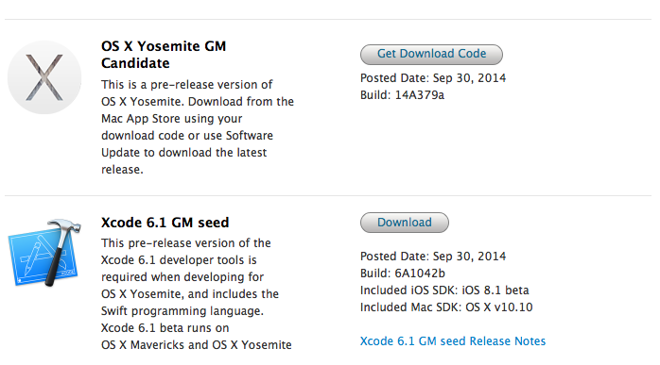 Also released on Tuesday was the Xcode 6.1 GM seed. It is identified as build 6A1042b. Prior to Tuesday's GM candidate, a total of eight developer previews of OS X Yosemite were issued. And to date, volunteer public beta testers have seen three builds. Yosemite is expected to become available in October, with a launch date likely to be announced at an anticipated media event. The company is rumored to debut a new 27-inch iMac with Retina display at the media briefing, as well as next-generation iPads with Touch ID fingerprint sensors. Apple has focused on what it calls "continuity" between OS X Yosemite and iOS 8, as users will be able to seamlessly hand off content from their iPhone or their iPad to their Mac when within range. In addition, users will be able to answer and place calls or respond to text messages through Bluetooth connectivity to an iPhone. iOS 8 was made available for iPhone, iPad and iPod touch earlier this month.